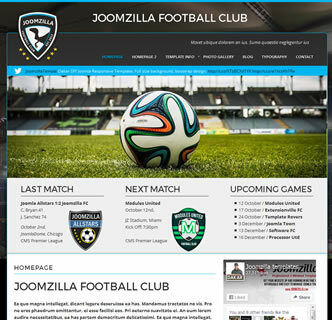 JoomZilla FC is a responsive Joomla Soccer/Football template that is packed with easy to use customisation features. This Joomla football template is sure to be a success with all your supporters and fans. With this premium yet affordable Joomla template you can choose the background, set the colour options, select from one of the pre-configured fonts and make use of dozens of collapsible module positions to create the perfect website for your soccer club. 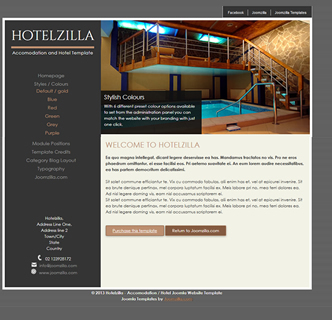 As with all JoomZilla joomla templates this template comes with a quickstart package, allowing you to easily re-create an exact replica of the demo. 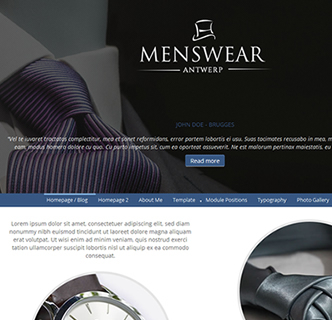 It also comes with a user manual to help you work with this easy to use Joomla template. 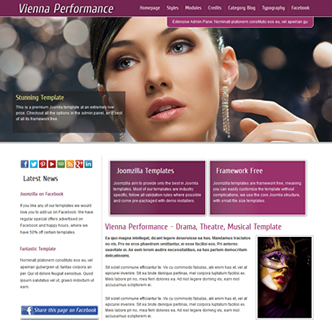 The only framework in use with this template is the included Bootstrap framework and it us an ultra simple template to work with. 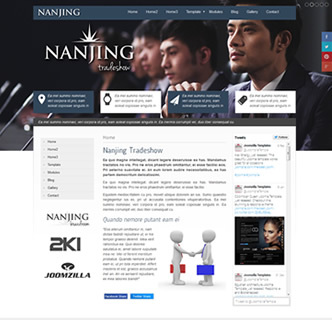 Links to your favourite social media sites and Facebook and Twitter sharing buttons can be activated from the template manager screen. As if that's not enough this demo as per the demo only uses 2 extensions, both included with this package. The professionally designed football style logo/crest you see in this template comes with the template and you are free to use it for any project, even commercial jobs. 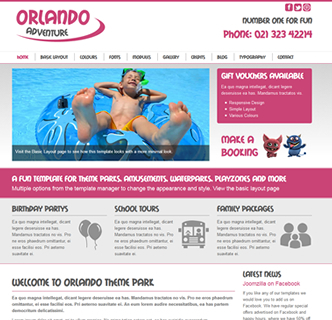 Have a look at this template demo for yourself by clicking on the link below or on the image to the upper right, and be sure to click on the "Homepage 2" for an alternative option to use as your template homepage. Be sure to also test it on your mobile/cell phone to see how effective this Joomla football template looks on other devices.